We recommend calling us at Southeastern Septic LLC for residential septic services in Winter Haven, FL. Are you having trouble remembering that last time your septic system was pumped? Did you buy a home and aren’t sure of the age and health of your septic system? It is important to schedule regular residential septic services to ensure the health of your septic system. Waiting until there is a major problem with your Winter Haven, FL septic system can be pretty costly, and that’s why we recommend calling us at Southeastern Septic LLC for residential septic services. Customer Service – Our customers are the most important part of our business. Whether you need regular maintenance or a regular repair, we will assist you with all your septic needs. We will help you maintain a healthy septic system and answer any questions you may have about our services. Full-Service Maintenance – Residential septic services involve more than a basic cleaning service. 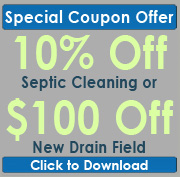 We will assess your entire septic system and diagnose any potential problems before they get worse. We want to make sure your entire system is working its best, so you can avoid expensive repairs in the future. Please contact us if you have questions about our residential septic services or if you would like to schedule regular maintenance. We are available to assist you day or night and provide competitive prices to meet your needs. We even provide financing options if you require repairs or septic system replacement. Call us today for more information. We look forward to talking with you! Southeastern Septic offers professional Residential Septic Services in Winter Haven, Auburndale, Zephyrhills, Mulberry, Bartow, Polk City, Lakeland, Plant City, and Polk County.